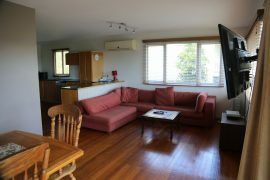 Owing to their proximity to the Port of Brisbane, our five fully-furnished homes are popular among dockers and sailors who are looking for accommodation close to the port. 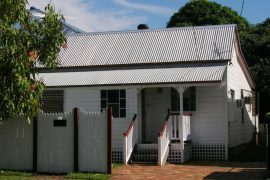 Our five homes have accommodated many dockers and sailors working at the Port of Brisbane. Because of their convenient location, our homes are perfect even for those working at the Hemmant and Murarrie suburbs located near the Brisbane river. Our homes have been designed to give you and your crew the comfort and privacy you deserve. Depending on how many you are in your crew, we offer homes that can accommodate 8-12 adults. 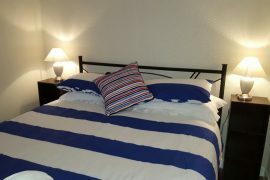 All our homes are furnished with clean beds complete with pillows, private bedrooms and bathrooms, some en suite. Linen and towels are all provided for your convenience. After a long day at the port, the last thing you’d want to do when you get home is do more manual chores. Give yourself a break from hard manual labour by staying at any of our five self-contained homes! All our homes are equipped with modern-day equipment designed for your convenient and relaxing stay. From a complete dining and kitchen set-up with dishwashers, full-size refrigerators, ovens, stovetops to laundry and ironing facilities, our homes have everything you need to help you relax at the end of every work day. 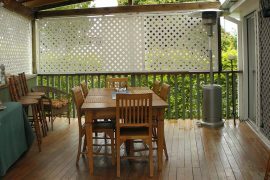 Staying at any of our well-located homes will give you and your crew easy access to all the outdoor fun activities that the Wynnum and Manly suburbs offer! Whether you are looking for hip bars, clubs and pubs, fresh seafood restaurants overlooking the Bayside islands, water-fun activities such as cruising, fishing and kayaking, or beaches, pools and pet-friendly parks, staying at any of our homes will make it easier for you to experience all these activities! 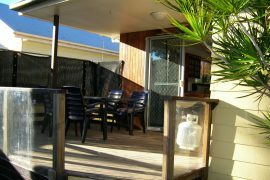 You can even walk your way to the esplanade, cafes, parks, public transport and other exciting shops around Wynnum Manly! If you feel too tired to head out, staying in at any of our homes is guaranteed to give you plenty of R&R and entertainment! All our homes offer fast internet connection to satisfy your need for your video-streaming and YouTube shows, or social media updates. We also offer free in-house movies and Foxtel TV to keep you updated with news and sports events happening around the world. If you want to stay close to nature, simply walk to your own lush backyard and grill some BBQ while enjoying the bayside breeze!